A soul soothing experience from which you never want to get out. A vacation is a perfect escape from a normal life - no worries, no responsibilities, no waking up early, no deadlines, etc. A vacation is just about you, your favorite place and a lot of quality time. But are you satisfied with just that, the traditional stuff? Or is it the inner peace you are seeking? Travelling is not just about spending bucks or staying at 5-star hotels. It is about exploring things and discovering oneself. It is like a soul soothing experience from which you never want to get out. A yoga retreat is just the ticket, with an added review of the inner-self. It is the path through which you will get lost within the search for inner-peace and self-esteem. A yoga retreat is not just a regular vacation; it is a journey of self, through the self, which ends with a new you. Usually, we go on vacations to relax and to have fun, but how many of us actually continue to experience that inner-bliss and contentment afterwards? Planning a yoga retreat leads to exactly that. Enjoy the journey of falling in love with yourself, over and over again. A yoga retreat is an amazing way to evade and acquire internal bliss. To apply quality ‘me time’ to your daily routine and explore the inner-self. A yoga retreat course offers every possible thing to the wanderer in you. A retreat course doesn’t mean a hectic day schedule; it offers you the flexibility of choice. If you are looking for the most exclusive retreat experience then we suggest a you look for authenticity in the teaching of the yoga teacher (what is their mission, what do they stand for?) and for a stunning nature reserves. Yoga helps you balance the mind, body and soul. 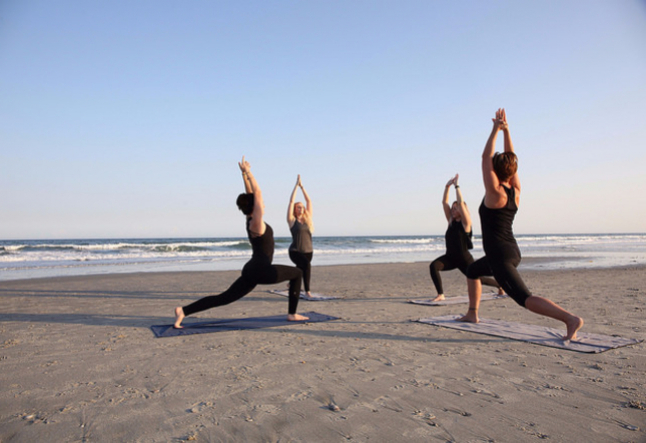 A yoga retreat helps you revive, revitalize and re-energize thus balancing of your mind, body and soul. Physical and mental rejuvenation is necessary to live a stress-free, happy and healthy life, and beautiful Mother Nature works its magic in that sense. We usually plan our vacation with our family or friends, but have you thought of going alone, just to rediscover ‘you’. If yes, then a yoga retreat is an ideal way to embark on the much-awaited ‘solo trip’. It is also a great way to meet like-minded people and make new friends for a lifetime. Share experiences with each other to learn more, talk, and laugh with new buddies, to balance your emotions and feelings. As mentioned, a yoga retreat is about having a better understanding of the self. Catching a glimpse of the art of yoga is akin to unveiling a renewed life where your body communicates with your soul. The better you know yourself, the better you live your life. It does more than just relax you, it takes you to new adventures and teaches you new things about life and the self. It gives you a ‘stronger and new you’ to take back to fight those day-to-day battles. It boosts your confidence, empowers you and makes you realize your self-worth. A yoga retreat is a worthy investment, an investment towards a blissful, nurturing, and connected life.